New Mexico State University-Main Campus received a B.
Washington Monthly's ranking of 104 out of 277 of National Universities - Overall Rank was a major contributor to this grade. "New Mexico State University, home to over 16,000 students, is a comprehensive university dedicated to "teaching, research, and service." The surrounding town of Las Cruces has a rich flavor and heritage; it comes complete with ancient Pueblo dwellings and legends of Billy the Kid." Describe the type of student who should not attend New Mexico State University-Main Campus and explain why. Someone who shouldn't go to NMSU is someone who is closed minded. When someone is unwilling it defeats the purpose of the NMSU community. Describe the type of student who should attend New Mexico State University-Main Campus. Why? What is a typical New Mexico State University-Main Campus student like? Describe the type of person that should attend New Mexico State University-Main Campus. What are the top 3 reasons someone should attend New Mexico State University-Main Campus? What was a typical New Mexico State University-Main Campus student like in high school? Describe the type of person that should attend New Mexico State University-Main Campus. New Mexico State University was founded in 1888 as Las Cruces College. The Territorial Legislature of 1889 established the land-grant Agricultural College and Experiment Station, which officially opened on January 21, 1890. 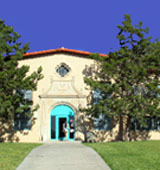 During its first full academic year, the college became known as the New Mexico College of Agriculture and Mechanic Arts, the first degree granting institution in the Territory. Under the provisions of the Morrill Act of 1862 and subsequent federal legislation, the special mission of land-grant institutions has been to provide a liberal and practical education for students and to sustain programs of research, extension education, and public service. In 1960, New Mexico College of Agriculture and Mechanic Arts became New Mexico State University. Since that time, while sustaining excellence in those programs traditionally associated with land-grant institutions, New Mexico State has become a comprehensive doctoral level university offering a wide variety of programs through the Graduate School and the colleges: Agriculture and Home Economics, Arts and Sciences, Business Administration and Economics, Education, Engineering, and Health and Social Services. New Mexico State University is the state's land-grant university, serving the educational needs of New Mexico's diverse population through comprehensive programs of education, research, extension education, and public service. What are the top 3 things that students do for fun at New Mexico State University-Main Campus? For me I either hang out in my room and relax or attend the school's concerts that they sometimes host or the men's basketball games. The average student pays $10,933 for tuition, fees, and other expenses, after grants and scholarships. Total stated tuition is $4,910, in-state and on-campus, before financial aid. Learn more about financial aid at http://fa.nmsu.edu/. Estimate the net price for you at http://nmsu.studentaidcalculator.com/. The typical (median) early career salary of New Mexico State University-Main Campus graduates is $45,900, according to Payscale. New Mexico State University-Main Campus participates in the NCAA Division I-A for college athletics. Want more info about New Mexico State University-Main Campus? Get free advice from education experts and Noodle community members.